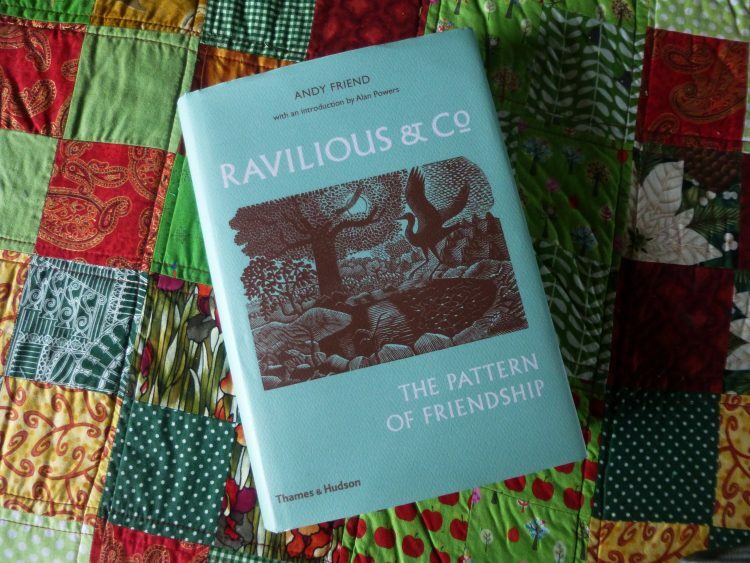 I’ve just finished reading a fascinating book called Ravilious & Co. The Pattern of Friendship by Andy Friend. I knew a bit about Ravilious and his friendship with Edward Bawden which led to them, with their wives, sharing Brick House at Great Bardfield in North Essex for a while. At last year’s Lexden Arts Festival James Russell came and gave a really interesting talk on these two artists and their connection with Essex. This book filled in all the context and background – the large group of male and female artists, many taught by Paul Nash at the Royal College, who were friends, colleagues – and lovers – of Ravilious. I was particularly interested to read about the women artists in the group, about whom I knew very little. Peggy Angus, Enid Marx, Helen Binyon and Tirzah Garwood all had interesting careers, painting, wood engraving, designing fabric and teaching art. Tirzah, who became Eric Ravilious’ wife, produced brilliant wood engravings, which I’d never seen before – the book is very well illustrated! Marriage and three children inhibited this work, although she became very skilled at marbling paper. Much later, during her second marriage to Henry Swanzy, she began painting. Peggy Angus owned the cottage ‘Furlongs’ on the Sussex Downs near Firle which features in a number of Ravilious’ paintings. I hadn’t realised that Ravilious was a great friend of Paul Nash’s brother, John, either, and went on painting expeditions with him. John Nash also has a local connection, living for many years near here at Bottengoms in Wormingford. The whole group seemed to have the most turbulent love lives, easily rivalling the Bloomsbury group for this! 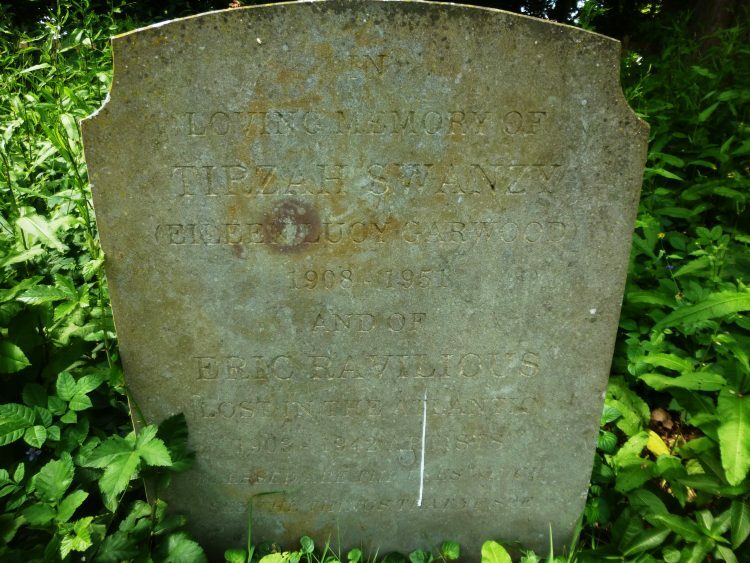 I found out from a quick flick through another book which I have yet to read – Tirzah’s autobiography Long Live Great Bardfield, (More on this in another post!) – that there is yet another local connection. 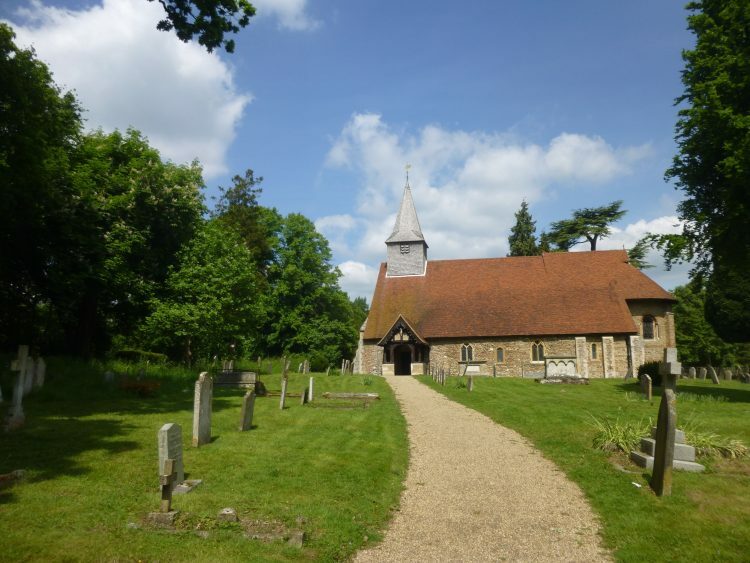 Tirzah is buried at the church of St Michael and All Angels at Copford. So this morning I drove over there as it’s only about 15 minutes up the road, to see if I could find her grave. 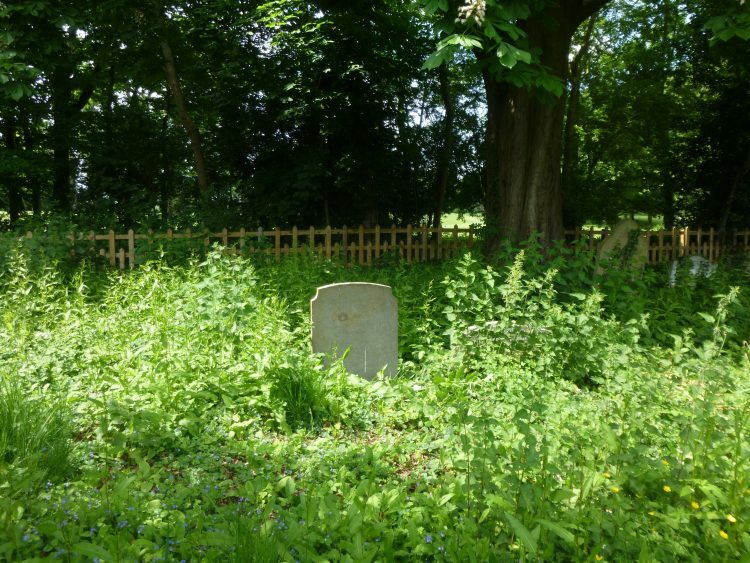 Copford churchyard was looking very pretty and well kept in the sunshine this morning, but Tirzah’s grave was in a very overgrown edge, backing onto a band of oak trees separating it from the cricket ground. I had to carefully tread down the nettles to get this photo. 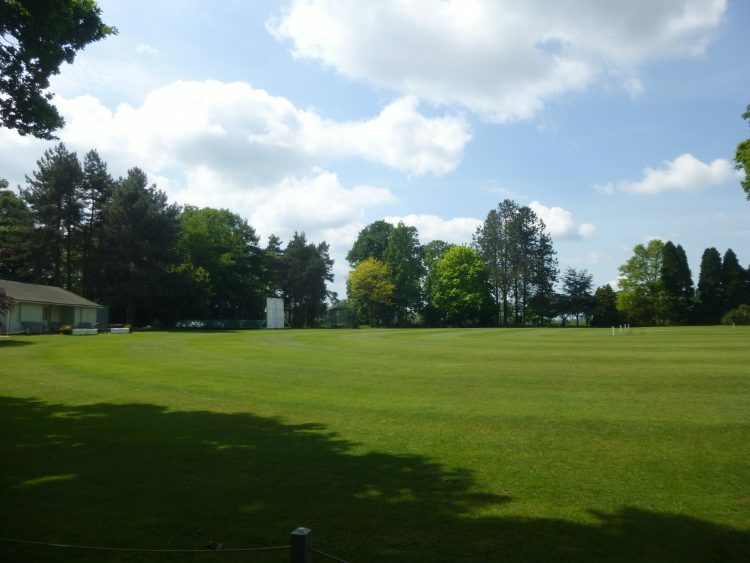 Tirzah died at Copford Place nursing home following a recurrence of cancer – Copford Place was suggested by Christine, John Nash’s wife, as it was run by her friend Susannah Sharp, the daughter of Cecil Sharp. She was almost 42.